Biblical proclamation is central to Christian worship. The Bible witnesses to the foundational experiences of the Church. Its proclamation invites worshippers into encounter with Christ, the living Word. "The Bible in Worship" seeks to make visible how the Bible is encountered in the worship of mainstream Western churches. Focusing in turn on the Roman Catholic, Reformed and Anglican traditions, Victoria Raymer offers a detailed and lively consideration of the contemporary practices of proclamation in each, considers their respective patterns of reading the Bible as part of public worship, and reflects on the place the Bible takes in daily prayer. Raymer also draws our attention towards the role the psalms play in contemporary formal liturgy, and offers a chapter on how the Bible is weaved into less formal forms of worship, including contemporary sung worship. Offering a truly holistic study of the scripture in worship, the book will resource readers to reflect on how proclamation invites response in understanding and resolve, and to consider how it might do so more effectively. Victoria Raymer is Tutor in Liturgy at Westcott House, Cambridge. She qualified as a lawyer and earned a PhD in Church History at Harvard. She prepared for ordination at St Stephen's House (as an All Saints Sister) and The Queen's College, earning a theology degree from Oxford and a Diploma in Pastoral Studies from Birmingham. After two curacies in the Diocese of St Albans she served as vicar of a three-parish benefice. At Westcott she teaches liturgy and church history and serves as a tutor. 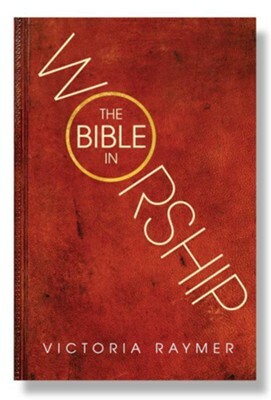 "This is a fascinating book bringing together an amazing amount of material about the use of the Bible in worship and the response to it. It will be of interest to liturgical scholars, those who lead worship and anyone who struggles to understand the dynamic behind the choice and the juxtaposition of readings. It will have a special interest to ecumenists who seek to imagine the rich diversity of liturgical life that will blossom in visible communion, which expresses the insights and experience of different Traditions and reflects the theological convergence of ecumenical conversations, not least of all the multilateral text, Baptism, Eucharist and Ministry. The thought provoking concluding reflections in, Epilogue: Surprises, underline, among other things, the strong reciprocal link between faithful expectant hearing and faithful action, the liturgy after the liturgy. How good it would be to complement this examination based on Roman Catholic, Lutheran, Reformed and Anglican practice with that of the Orthodox and Pentecostal Traditions. The book deserves to be widely read." I'm the author/artist and I want to review The Bible in Worship: Proclamation, Encounter and Response.